One-fifth of the Backstreet Boys, Brian Littrell first learned to sing in the choir of his Lexington, KY, Baptist church. Music was always important to him, but Littrell had originally planned on entering school to become a music minister, not to be a pop star. Things changed, however, when cousin Kevin Richardson asked him to come to Orlando, FL, to join the boy band that was being started there. Littrell, who at the time was still a senior in high school, agreed, and embarked on what would become a long career with the Backstreet Boys. Finally finding time for his own pursuits in the five-year span between Black & Blue and Never Gone, Littrell was able to write songs and record a solo CCM album, entitled Welcome Home, which was finally released in 2006. The same year he won a GMA Music Award for his version of Michael English's "In Christ Alone." 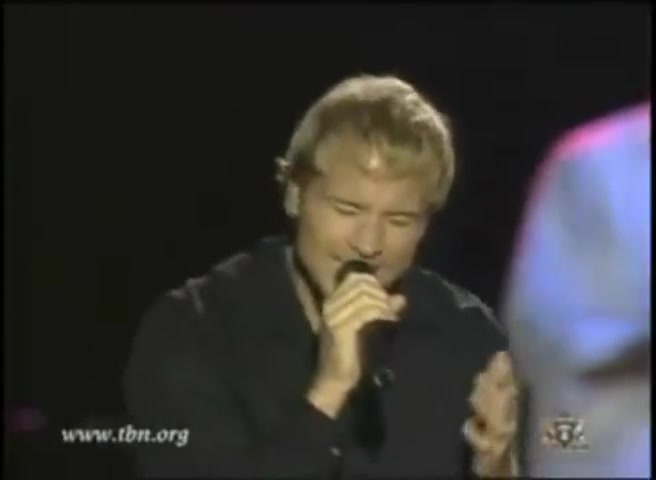 Brian Littrell sings the song "We Lift You Up." Watch brian littrell music videos free online! Godtube.com also provides videos with brian littrell lyrics, singles, album information and reviews. Whether you're looking for an inspirational and encouraging song for your quiet time with God or an upbeat song to praise Jesus, Godtube.com offers the largest online database of Christian music artists!